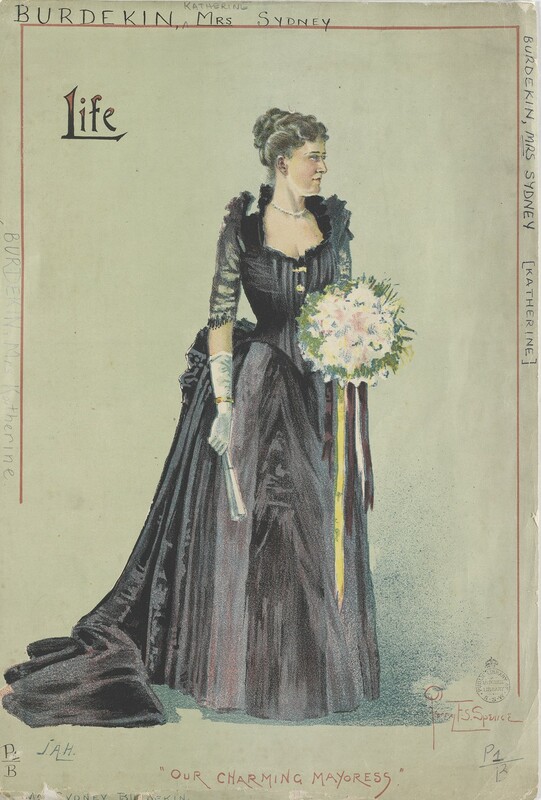 "Our Charming Mayoress", Mrs Katherine Burdekin, wife of Alderman Sydney Burdekin, 1890. Sydney Burdekin was born in Sydney on 18 February 1839, the fourth son of the wealthy Sydney merchant Thomas Burdekin and his wife Mary Ann, née Bossley. On 24 January 1872 he married Katherine Byrne, daughter of Keyran Byrne, a farmer from Attunga. They had eight children of whom two sons and two daughters outlived their parents. Sydney Burdekin died at Rooty Hill, NSW on 17 December 1899. His wife died on 15 January 1913. The family vault is in the old Church of England Cemetery at Rookwood. Sydney Burdekin attended W T Cape’s Darlinghurst School and gained his Bachelor of Arts at the University of Sydney in 1859. He was articled to the Crown Solicitor W W Billyard but did not pursue his legal career. For many years, he managed the family’s pastoral runs in Queensland and at Attunga, near Tamworth in NSW, before returning to Sydney in 1875 to manage his father’s city properties. He owned several Sydney properties and was a rack renter. From 1867, he lived at 195 Macquarie Street. Burdekin was a director of several public companies, including the Sydney Hospital from 1878 to 1899. From 1887 to 1899, he was a member of the Aborigines Protection Board. He became a magistrate in 1885 and presided over the Royal Commission on the City and Suburban Railways in 1890-91. He was president of the Sydney Liedertafel from 1892 to 1899. 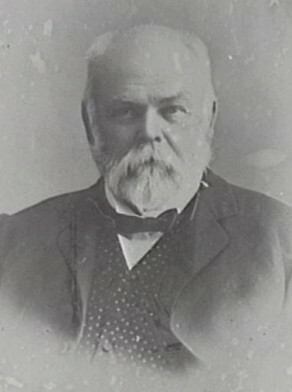 Sydney Burdekin was elected MLA for Tamworth from 1880-82, for East Sydney from 1884-91 and for the Hawkesbury, 1892-94. An avid supporter of the free trade movement, and a strong opponent of a property tax, he was identified with the Free Trade and Liberal Association which formed in 1889. Sydney Burdekin was an Alderman of Sydney Municipal Council, representing Macquarie Ward from 1 December 1883 to 30 November 1898 when he was defeated by William Dymock. He was Mayor from January 1890 until 7 April 1891 when he resigned to visit Europe. Shirley Humphries, ‘Burdekin, Sydney (1839–1899)’, Australian Dictionary of Biography, National Centre of Biography, Australian National University, http://adb.anu.edu.au/biography/burdekin-sydney-3331/text4627, accessed 24 January 2013.